As discussed in the Humidifiers Buying Guide, humidifiers come as both room-size table-top and consoles and as whole-house units that attach to the home’s heating and cooling forced-air system. All humidifiers are basically appliances that create moisture and transfer that moisture to the air. They may use any of several technologies to accomplish this feat. Central evaporative humidifiers are made to be attached to the home heating system. They can output up to 25 gallons per day. High-capacity models are fan powered; other types don’t require a motor. 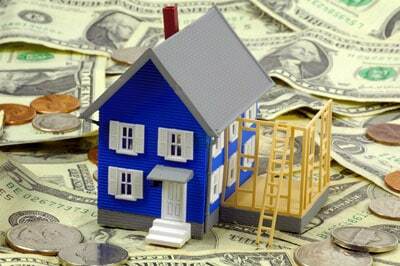 All are hooked up to your house’s plumbing so manual filling isn’t needed. 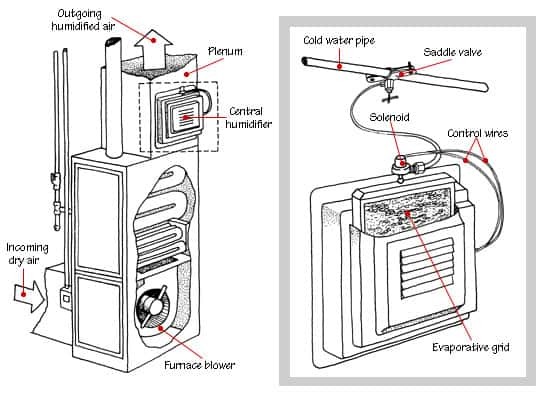 Whole-house humidifier attaches to the home’s furnace or air handler. Humidifiers may employ a belt or drum to transfer moisture to air. Evaporative humidifiers, the most popular technology on the market today, capture virtually all minerals and pollutants from even the hardest water, eliminating the white dust that ultrasonic humidifiers can create. They work by passing an air stream through a wet medium such as a sponge or dampened grille. Some evaporative humidifiers have fiber honeycomb-type panels that wick water upward from a reservoir; others employ a foam or cloth drum that spins through a water-filled trough as air passes by. Still others blow air through a woven aluminum pad that is saturated by a constant stream of water. In some cases, filters are treated with a special compound that retards bacterial growth. 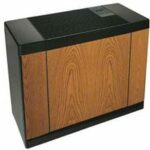 With tabletop and console models, a quiet fan blows air through the damp surfaces. Some whole-house models use the heating system’s blower to do this job. 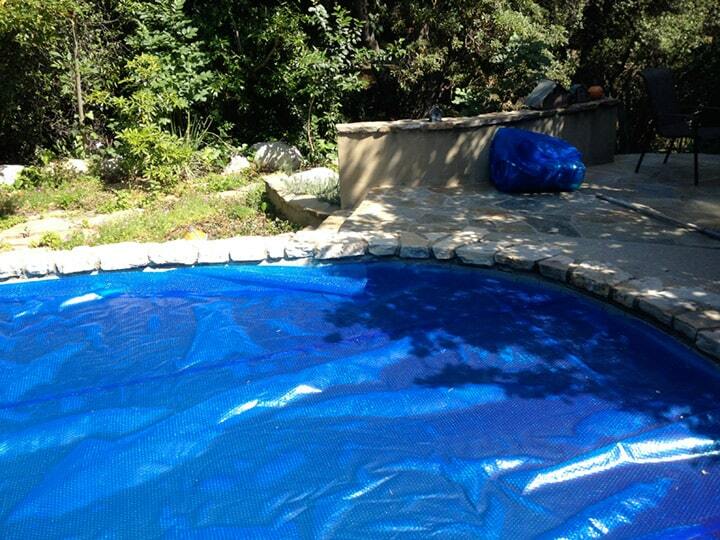 A filter collects the dissolved solids; with most models, this filter is disposable. One newer product, which Emerson offers, utilizes no moving parts, electrical cords, hot water, or even a motor. Ideal for a child’s room, this unit sits directly over a forced-air floor register and can be easily moved from one place to another. It retails for about $20. 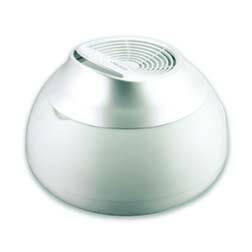 A cool-mist impeller humidifier spins tiny droplets of moisture into the air. Available primarily as tabletop units, these hold from 2 to 3 gallons of water, are filled manually, and are easy to move around. Cool-mist impeller humidifiers don’t have the problem with white dust that ultrasonic units have because the droplets produced are larger. And unlike steam humidifiers, cool-mist units use electricity only to propel the air, not to provide heat. This means they consume far less power. Some humidifiers disperse water vapor into the air the same way a tea kettle does: by boiling water. Steam humidifiers are manufactured as tabletop or wall-attached models that spray steam into a living space or forced-air heating ductwork through a dispersion tube. With all models except for tabletop varieties, tap water is piped directly into a steam unit so that it doesn’t require manual filling. Because steam is evaporated water, it doesn’t contain bacteria or mineral deposits that might contaminate the air you breathe. Ductwork systems, which are manufactured for both commercial and residential applications, can be custom designed to output any amount of steam a house might need—though custom units may be prohibitively expensive for most home applications. And they can be costly to operate. Steam units employ an electrical element to heat the water; when this is on for extended periods, it can rack up the energy dollars. Though ultrasonic humidifiers used to be popular, they have fallen into disfavor because of the suspicious “white dust” they create. With ultrasonic humidifiers, a thin sheet of water is passed over a transducer that vibrates and excites the water, breaking it into millions of tiny droplets. The problem is that calcium and other minerals in the water become airborne with the moisture, particularly in areas that have hard water. This ends up as a dust that falls on objects and pollutes the air you breathe. The Environmental Protection Agency has warned that the tiny particles of minerals and microorganisms that may be propelled into the air can cause illness or allergies. 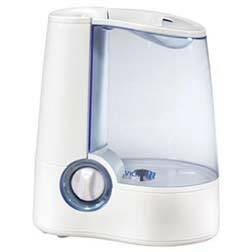 If you use an ultrasonic humidifier, fill it only with distilled water and clean it properly every day. Because of the questions surrounding these devices, we suggest you avoid using an ultrasonic humidifier in a child’s room or an unventilated enclosed space.